Hi, well, just like the gardens outside, my life seemed to have a bit of a hiccup, where it seemed some things may not grow, but it turned out to be a spring prune! Now life is blooming quickly and I am running a bit to keep up! For a time I was working at a TV channel, designing and making jewellery which was used on the show and sometimes in tutorials, including in magazines and was listed as an expert there. 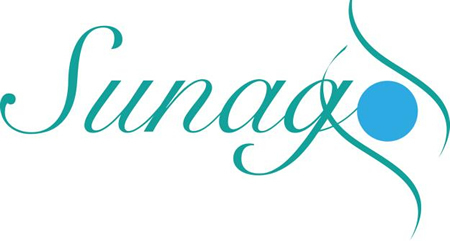 Now I am linked with another jewellery business, learning new specialities and already inspired into a new line of jewellery, which is about to be launched, firstly through Facebook on https://www.facebook.com/SunagoUniqueCreations/ which is full of colour, also inspired by the spring bulbs which have been popping up all over the place and are continuing (I currently have the amazing depth of colour of Tulipa Queen of the Night in my garden). This new line is adding to another of coloured chain maill which I have made in liaison with a business lady who works in House of Colour. This is all really exciting and part of the reason for my quietness on here of late. But of course, greens in May talk of Chelsea flower show and of the shades in the beryl stone of emerald. Look out for various pieces made with Emeralds in my shop here and on facebook. Although known as a couple of shades, it truly goes from almost clear and pale through to a more solid colour and so dark it is almost black. This means it works well in men’s jewellery, as well as women’s. So if you have a birthday or anniversary this month, you know what to choose! Great stuff! Keep at and the result will come as they say. Do you have anything specific I could use for wedding jewelry? Hi Andrew, so sorry for the slow reply. Yes, I have a pearl and emerald sterling silver necklace, which would be beautiful to wear for a wedding. I also have other pearl necklaces and pearl earrings, which are beautiful for weddings. I have also made other items for brides, bridesmaids and families of bride and groom, as well as other guests and love those commissions, as they are really creating for memories.